Vigor Ground Fitness is a results based fitness and performance facility. Our members (family) are real people looking for real results. They come from all walks of life and one thing they have in common is the desire to change their body to what they always wanted it to be. “My name is Dawood and I’m a father. I’m just a normal guy that finally found a program that works. I’ve tried all sorts of training programs, gyms and diets with no long term results. 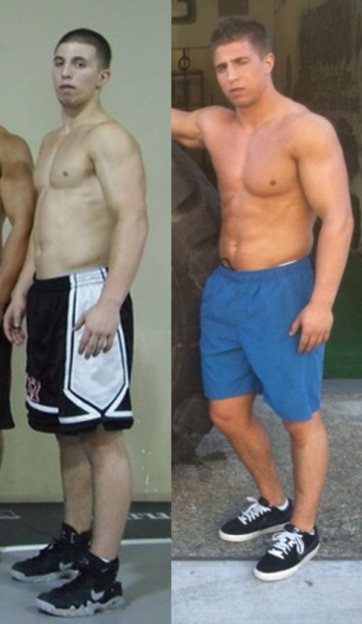 Luka and his amazing team of trainers helped change the way I do things in the gym and the other 23 hours of the day. They really care to see you succeed, not just short term but also, and more importantly, long term. They helped me see fitness is a gift and you give to yourself and it should not be a temporary goal but rather a journey, way of life. At Renton Results Boot Camp I got help with my nutrition. Things that were realistic and long term and not short term fads. I only trained 3x a week for 35-40 minutes and did some short metabolic furnace workouts at home on 2 other days. In 9 weeks I lost a little over 40 lbs and 10.1% body fat! I have honestly never felt better and I have energy all day for my full time job AND my own business that I run in my free time. 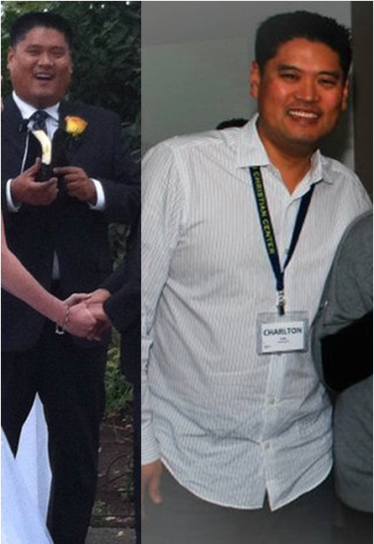 “Before I came to Renton Results Boot Camp I had just started trying to eat healthy and exercise about 2-1/2 months before that. So I had lost almost 20lbs already. I was shocked at how intense but short the work outs were and even more surprised by the immediate results in weight and inches lost! And it was in about ½ the amount of time that I was spending in the gym everyday. Needless to say I was HOOKED after the first week! I was most nervous because I thought it would be too hard for me. I didn’t want to get in there and not be able to do anything and feel embarrassed. I learned VERY fast that everyone is working so hard (whether they had been there 2 weeks or a year) that they aren’t worried about what you can and can’t do. The trainers are very good about encouraging you but also pushing you when you slack off, and very importantly they have a high level of expertise and knowledge to modify things specifically for you when necessary. 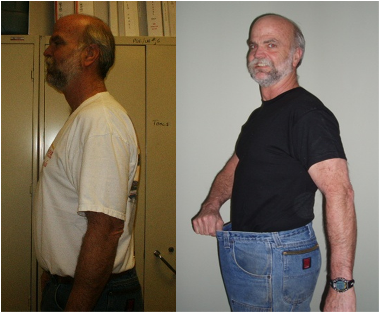 In the 4 months I was at Renton Results Boot Camp I lost about 35lbs and LOTS of inches. I wish I would have measured before starting. 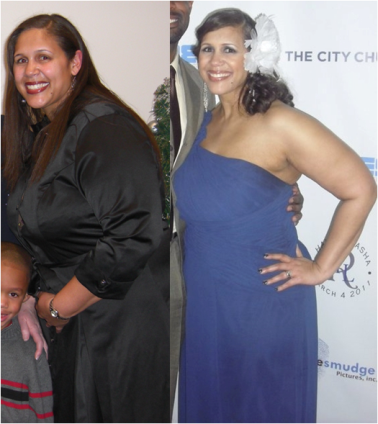 I went down 5 dress sizes so I KNOW I have lost a lot of inches. I am so motivated to keep working hard to reach my goals of being in good physical shape. I feel more confident and healthy and ready to take on new challenges! 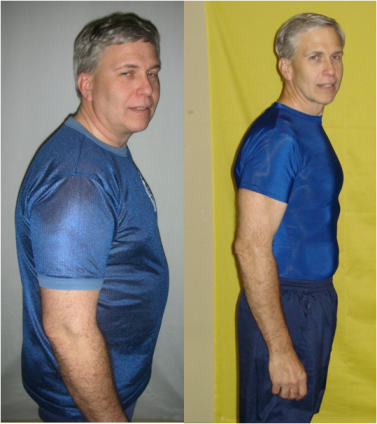 “When I came to Renton Results Boot Camp I didn’t know what to expect. I was one of those people that hated doing group classes because I was so self conscience of my weight. I was 193 lbs and now I am 142 lbs and wear a size 5 and couldn’t be happier! I have so much more stamina and strength than I have ever had in my life! I am able to climb a few flights of stairs and when I get to the top I am the one asking why there isn’t more stairs to climb! I have worked with other trainers and the thought of doing 30 minutes of cardio followed by weight would have me thinking I’m walking out of this gym and never coming back! With Renton Results Boot Camp, I’m able to complete cardio and weight within a 35 minute period and get the results I want! I couldn’t imagine life without it! 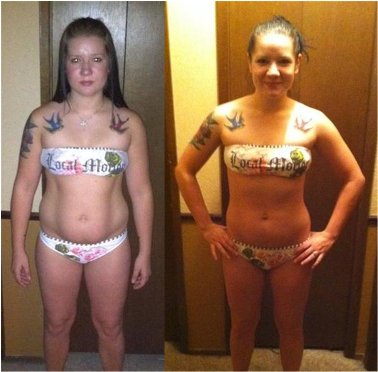 Lyanne lost over 16 lbs and 6% body fat in 8 weeks and got summer swimsuit ready! 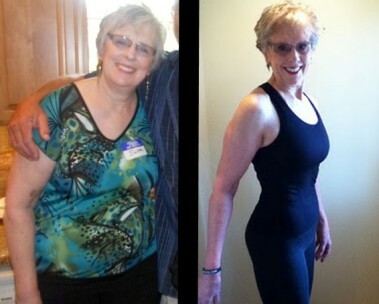 Mari made an incredible transformation! 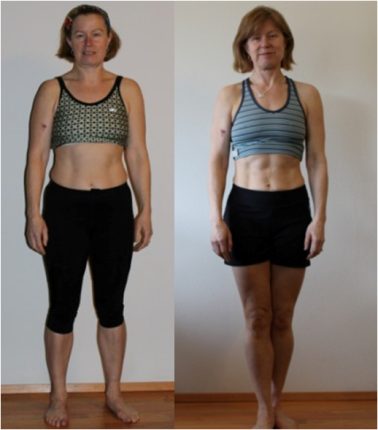 Lee dropped 15 lbs, 5.8% body fat and revealed her 6 pack in our 8 week transformation contest. Since then she’s gone on to compete in triathlon and finish Ironman! Mayra had tried just about everything before from diets to hiring personal trainers at the local Renton health club. 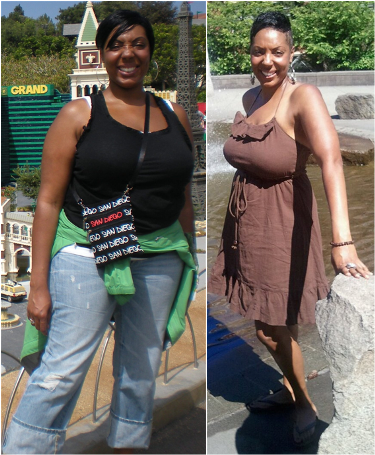 She never had any real results when it came to weight loss and had been seriously frustrated before giving Renton Results Boot Camp a try. 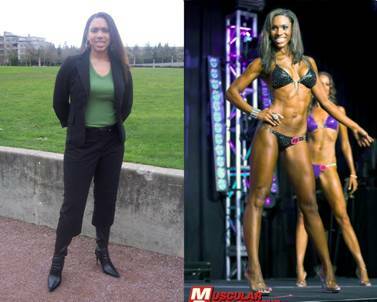 At the beginning Mayra’s mindset was holding her back because she thought her genetics were stopping her from getting the body she deserved, which meant she was skeptical about the program. 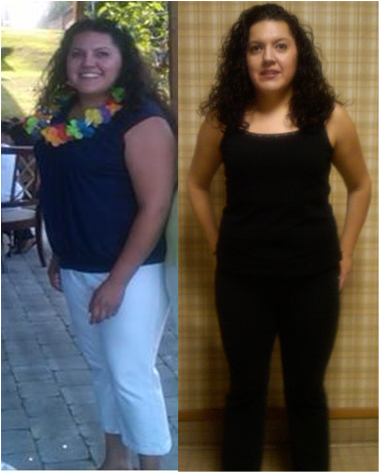 After the first couple of months Mayra dropped 16 lbs and saw that she can do it! She joined the Back To School Transformation Contest and came in 2nd, dropping 27.3 lbs. After 6 months Mayra dropped over 46 lbs of body fat getting her body lean, toned and full of energy. She is a rock star boot camper! 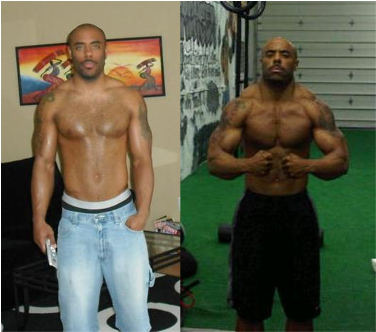 Tony was another transformation contestant that never missed and constantly pushed the intensity. 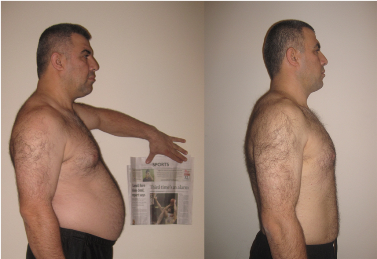 He lost 30.2 lbs and 6.1% body fat in just 8 weeks! Since the contest finished Tony has lost another 6 lbs and is getting ready for his first sprint triathlon. 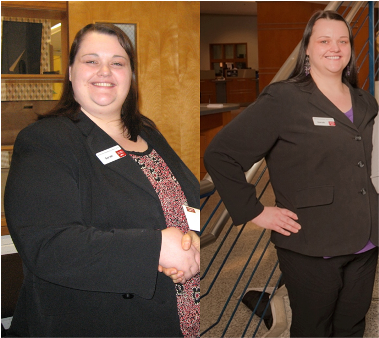 Sarah is a boot camp rock star and has lost over 100 lbs on her amazing transformation journey. Pictures say so much more than words! 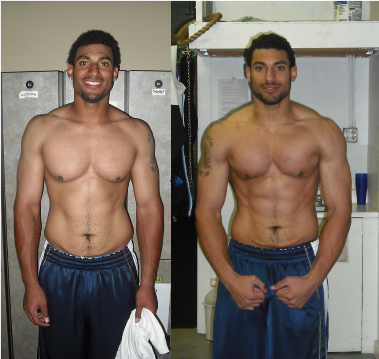 In better shape then his college playing football days, improved performance and 20+ lbs of lean muscle, Anthony completely transformed his physique and became a beast in the process! Damir gained over 50 lbs of pure lean muscle in a year of training and became one of the strongest guys we’ve ever seen at his weigh. 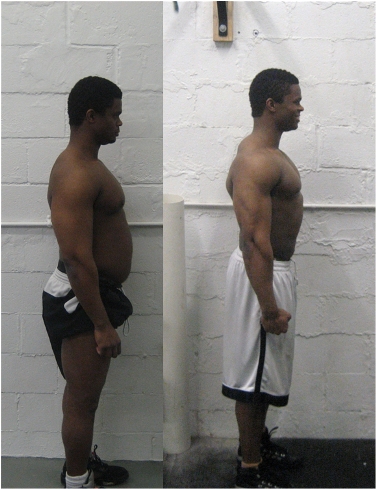 His body and his performance exploded while training at Vigor Ground Fitness and Performance. “Before training with Hocevar Performance my training was at a regular gym and I was just maintaining the results I had achieved in the past. I wanted to get leaner as well as get my strength levels up. To top it all of, the year before I had 2 knee surgeries and spinal stenosis surgery, this is very invasive. The doctors told me I shouldn’t lift heavy weights and had advice to restrict much of my physically demanding activities. I was frustrated and feeling like there is no solution and that I may always have to “watch what I do”. “My first year and off season training with Vigor Ground Fitness and Performance I was looking to take my performance to the next level and move up the ranks of the Tampa Bay Rays. My experience and results were way above expectations, I went from 252 lbs to 238 lbs and dropped my body fat from 15.2% to 9.1% (measured by the Tampa Bays start of the season) and even more importantly my performance went through the roof, from hitting power, sprint speed, etc. not to mention getting rid of my nagging injuries..
“So before I joined bootcamp, I honestly thought life was just fine and that the world had a problem but I didn’t. I was going to figure out a way to make it ok to “thick” because it was culturally acceptable to be that way. However, I know in the back of my mind that I was completely out of shape and sometimes walking up a set of steps would wind me. Before joining, I didn’t know what to think! I figured it would be crazy skinny people running around trying to save the poor fat people!! I thought that it would be too hard and that I would never be able to keep up with the exercises or the eating. “In 2007, at the age of 48 I injured my back at work. The pain shooting down my right leg was so bad that I couldn’t sit in my car without screaming, I had to have a stand up desk at work, and sleeping was always a question. My doctor had followed the standard treatment, painkillers, anti-inflammatory meds and physical therapy. The medicines help cover up some of the pain, and the physical therapy, while helping, after 6 months was proving to be something that wasn’t going to get me back to “normal”. I than had an MRI done and it was determined that I had degenerative disk syndrome (mostly due to years and years of not treating my back right) and a bulging disk from the injury that was pressing on my sciatic nerve causing me all the leg discomfort. I had 2 injections in my back, neither one really help, and I started getting acupuncture treatments. I have to say that I thought I had found my way back. Acupuncture was giving me more relief than anything I had tried to this point. I was 49 years old and at this point wanted just 2 things. I wanted to be able to play golf again, and I wanted to be able to sit on and ride my motorcycle. The acupuncture had gotten be to a point that I was able to golf some and ride my bike, but I couldn’t believe that I was going to have to live the rest of my life with daily pain. Fast forward to January 2009. A friend of mine asked me if I wanted to try out a new boot camp workout. It was at a new gym in Renton being started by the husband of one of the dance teachers from the studio where my daughter danced. So a couple weeks before my 50th birthday, we headed off to see what Renton Results boot camp at Hocevar Performance was all about. After our free week trial period I was hooked. The workouts were intense and because a lot of it was bodyweight stuff, I wasn’t afraid of it hurting my back more. Luka is very knowledgeable in how the body works. He makes sure proper technique is used not only for maximum benefit, but to make sure you don’t injure yourself. The workouts are structured so a trained athlete, a stay at home Mom, and 50 year old guy like me can workout together all get a great workout. And results? After just 2 months working out with Luka, and following a meal plan he put together for me to help me achieve my goals, I went from a starting weight of 215 to 185, and lowered my body fat percentage from around 20 or 21 percent to about 15 or 16. And the best part of all this is the condition of my back. My sciatic pain is all but gone, I am probably in the best total body shape I have ever been in. and that is saying a lot from a guy that played practically every sport under the sun at one point or another from childhood through my college years. 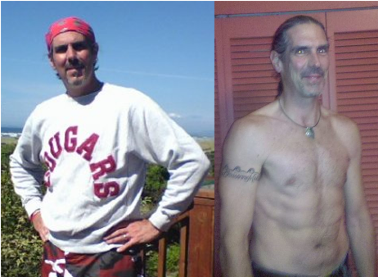 At age 40 I ran a marathon, competed in triathlons and rode my bicycle 200 miles in one day. None of that training did for me what Luka and Hocevar performance has done for me in terms of total body conditioning. “I finally became honest with myself after looking in the mirror and I knew that I had to do something about my weight and about the way I was feeling. I was always felt sluggish with low energy levels and I found myself being unproductive throughout the day. I decided to enter a weight loss competition and chose Luka and Vigor Ground Fitness and Performance as my personal training corner. Charlton joined one of Vigor Ground Fitness and Performance 8 week transformation contests and lost 27 lbs in 8 weeks and almost 50 lbs overall while being part of the boot camp program. What an amazing transformation! !